The Official Cannabis Regulations report has been published after nearly one year to date (October 28, 2016) from when the office of Supervisor Solis requested Angeles Emeralds to provided them a motion on how we wanted to see regulations written. That motion specified what later became the Cannabis Advisory Work Group on which our co-founder Jonatan Cvetko as invited to participate in. 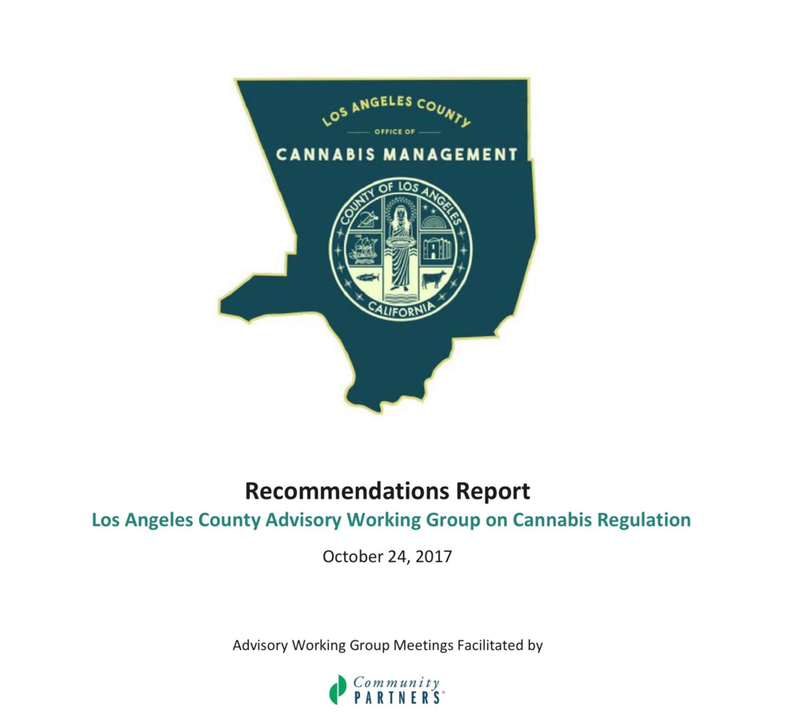 Spanning 3 months, from June through August, with weekly meetings sometimes lasting up to 8 hours, the advisory workgroup have completed a total of 64 official recommendations as a framework for the LA County Board of Supervisors to write cannabis regulations. Angeles Emeralds is very proud of our work and encouraged by the Final Report. These final recommendations are thoughtful, comprehensive and appropriately prioritize public safety – particularly focusing on protecting our children. Angeles Emeralds strongly urges the Board of Supervisors to respect the recommended “pathway to legalization” for existing, unlicensed cannabis businesses. Such a pathway provides responsible operators the opportunity to enter the legal marketplace while working to close the door on the elicit market in the LA County. We will continue to be an active participant in the public policy process and looks forward to engaging the Board of Supervisors directly to forward our goal of make sure LA County sets the standard for legal cannabis policy for California and beyond.